Whenever I listen to the Ezra Klein show, Iâm always spurred deeper thinking from meta topics down to my everyday life. Iâm able to have nuanced conversations about systems and ideology, and I feel like I can see past the surface level of politics. Ezra is a sort of cognitive worm that nestles inside your head as you listen to his interviews. The process is gradual, but you eventually find yourself in situations far removed from the show but nevertheless asking his questions and worrying about his concerns. The infection is complete when you lose sleep over the incomplete status of his book or the health of his baby. Thank you for broadening my perspective on reality. Ezra, your one of the smartest people in media today. Thanks for sharing your guestâs intellect with the rest of us. It makes my life more meaningful. This is definitely one of my favorite podcasts. I look forward to every episode. Ezra is an excellent host and asks almost all of the right questions. I especially appreciate that he asks his guests about the pushback/opposing views on their positions. Those are the questions that make me smarter for having listened to the show. Tune in now. You wonât regret it. Just finished listening to Buttigieg interview - sounds great now! I heard no audio issues or an echo. Awesome interview. I love this, but when guests are talking I am distracted by Ezraâs mouth sounds and deep breathing. Please pull back from the mic or mute when people are talking. Your recording of Pete B interview is completely riddled with errors. There is dialogue happening behind the podcast throughout. Do you know how to use your own equipment? Please know there is some distracting back ground noise sounds like another person talking during the April 1, 2019 episode. Sean Illing is a great host! Really enjoyed the recent podcast with Sean Illing and Ross Douthat. Ezra is one of the most level-headed and thoughtful commentators I listen to, and I listen to a LOT of them. He outshines almost everyone at Vox in terms of fairness and a determined striving for objectivity. He has a visible interest in polarization and identity politics which usually lends to a more holistic and fair view of contentious issues without falling into false equivalence. He is left leaning without contempt for the right. But most of all he is just smart. He is thoughtful in his interviews in a rare and prodigious way while still being intelligible to laypeople. In other words, his smarts are in service to the better understanding of his less-smart listeners like myself. Ezra! Whose bright idea was it to have Matthewâs shrill voice read the commercials? I was really enjoying the conversation and then that happened. One of the reasons I enjoy certain podcasts especially yours is just how pleasing your voice is. I had to uninstall the Weeds because of him. I CANNOT lose this one as well. David Roberts was great host! Ezra is wonderful, but listening to David Roberts interview David Wallace-Wells was the best episode to date. Dug into angles of the climate crisis I'd not yet heard explored, and it resonated with me deeply. Please feature David Roberts on the reg! Just wanted to say how great the podcast is. Always learning something. This is a good show but Ezra talks too much. This isnât journalism. Youâre a joke. Noah rothman was a fantastic episode. We need smart people from both sides finding the middle ground. These are the episodes I listen to. In general I love this podcast, but I was ready to skip this episode when I read the headline and caption. --Just the prospect of listening to a full-length argument was making my stomach tighten. But I was so pleased to hear a respectful discussion between two people with different beliefs. I should've known that I could expect such an elevated approach from Ezra Klein. I continue to anticipate new episodes with relish. Thank you! This show introduces me to the most interesting people. I real enjoyed the podcast with Rachel Maddow. Thank you for presenting the interview. I guess I like the interviews with politicians and well known role models. Keep up the good work. Listening to your podcast I am more interested in Rachealâs remarks than listening to your history. Perhaps you can listen more...Thanks! Bravo! Super smart and super civil. Please have more brilliant guests with whom you disagree. The Ezra Klein Show has been a staple for several months now because not only does Ezra discuss many topics Iâm already interested in but he can also draw me into a topic I donât think I care about by discussing it interestingly and respectfully with his guest. Highly recommend! Your debate was absolutely wonderful. I listened start to finish all two hours and will listen again. One of the most edifying works Iâve heard all year, you should submit it for an award of some kind. Brilliant and extraordinarily helpful. Thank you both for hanging in there! I loved this! Can you do this weekly with Andrew, please? We need to hear more intelligent viewpoint conversations about where we are and where we are going. If you are into intelligent, long-form audio journalism this is by far my favorite podcast! I'm an active listener of Terry Gross, The Axe Files, The Daily, Five-Thirty Eight's Politics podcast and this show complements those by adding a deeper, dialectic discussion! Thanks for reposting the Bryan Stevenson interview. You should go back and listen to yourself in that podcast and go back to that person. You asked intelligent questions and let him speak. Now youâre just a self righteous windbag. You suffer from anxiety? Could it be you donât feel like youâre smart enough and you have to prove to yourself you are every podcast. Youâre smart. Now shut up and let your guests talk. This podcast is one of my favorites. Ezra invites a wide variety of guests and is always well prepared for the discussion. This makes things move in smooth pathways that keeps me listening as compared to interviews that simply bounce down a list of prepared questions. Thanks, Ezra! Smart interviewer, but all the uptalk, NPR voice and mannerisms, and a preteniousness diction make this is really hard listen. This podcast is so incredibly interesting and thought-provoking. The first episode I listened to (with Cal Newport) was brilliant and I shared it with everyone I know. And now Iâm coming to realize that each episode I listen to is just as brilliant and perspective-changing. My mind is blown open. Gratitude to all those who work on bringing it to life! I donât always agree with Ezra and sometimes his views frustrate me. Thatâs all a good thing. Branching out and listening to things you not only agree with, which I often do with Ezra, but also disagree with which I also do with the show. Thank you Ezra for challenging my views, and having me walk around arguing with you on a public street, or nodding my head in agreement. You do a great job. Keep it up. Ezra Klein does a long interview with someone who has something to say. Itâs a serious interview with a serious person.Itâs usually about a serious subject.It might change your opinion about the topic.It almost certainly will expose you to an opinion you were not aware of. The boy who cried dog whistle. I grow so tired of hearing all these people, right and left, assigning âimmoralâ motivations to other people, whether they have themselves stated or even denied these ideas. Endless. Accusations of âDog whistlingâ does not a cogent argument make. In-depth analysis of complex issues and/or conversations with people chasing greatness in their own craft. Ezra is one of the best interviewers Iâve heard in awhile. Love this podcast. Havenât missed an episode! 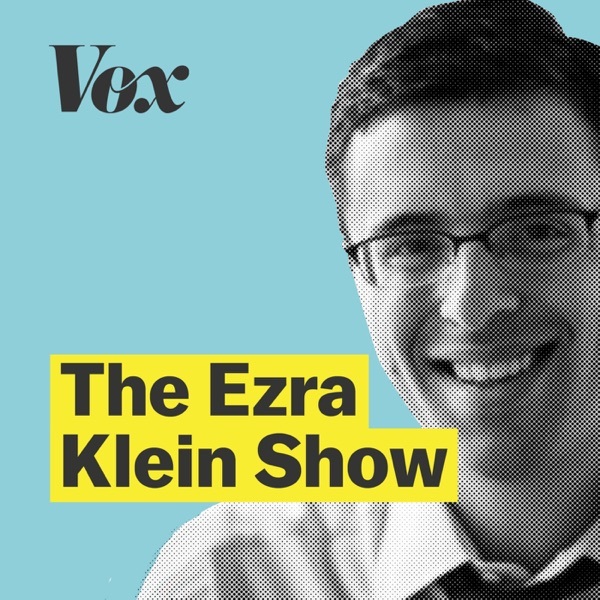 Ezra Klein stands apart from the crowd as an incredibly skilled interviewer, and his guests bring thoughtful, insightful and challenging perspectives. I see the world in a new light after each episode. Listening is one of the best parts of my week. Thank you Ezra & team! As a former vegetarian who now eats meat: I donât want animal suffering but w food sensitivities /intolerances âfakeâ products CURRENTLY on the market are not foods I can digest. Hope these new products will be different. The Ezra Klein show has excellent guests from many disciplines, each of them expert and worth listening to. Mr. Klein is an engaged and thoughtful interviewer. Study American history instead of relying on private bias. Why didn't you let Jill Lepore talk instead of hammering on your prejudices? If you want more of the same from biased leftist news. Republicans are racist and evil. Wonât talk about anything a Democrat has done wrong. then this is your podcast. Apple please stop advertising this too me! If you think equality of outcome is more important than equality of opportunity he is your guy. What has happened to the Democratic Party? Ezraâs extreme left views are only for borderline marxists. Classic democracy be darned. I always learn something from listening to this podcast as well as The Weeds. Thank you for providing thoughtful insight into the events of the day. It's clear Klein and his team put a lot of effort to bring in smart people to interview. From there, it's two very smart people having a conversation. Each time I leave the conversation with insights and an expanded perspective. Mr Klein may sometimes engage in British style, long winded questions but his interviews are really solid and I enjoy the level of engagement and his guests.